Dog without ID was found on Christmas Eve on Pinebrook Rd in Chestnut Ridge. 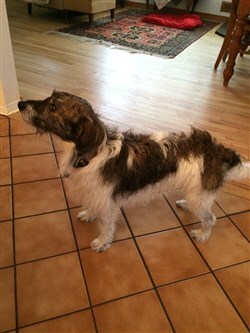 Friendly, wirehaired Terrier mix. 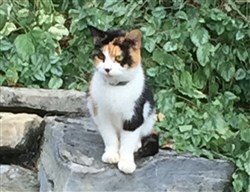 Sweet little calico found refuge in our backyard (Poughkeepsie/Lagrange area) for the last 6 weeks. Clearly had a previous home because she is wearing a high end flea and tick collar. Please contact Nancy at 845-401-9236.